​Manchester City manager Pep Guardiola has said the trio of Sergio Aguero, Kyle Walker and Benjamin Mendy could all be fit to face Tottenham on Tuesday, handing his side a much-needed boost ahead of a crucial period. Injuries have taken their toll on City over the course of the season so far, largely thanks to the heavy fixture congestion that comes with their pursuit of an unprecedented quadruple. They remain hot on the heels of Liverpool in the Premier League title race, but were forced to overcome Brighton without top scorer Aguero to reach the FA Cup final. Full-backs Walker and Mendy were both substituted in the 1-0 victory, with particular concern arising over the former, but Guardiola has said all three could be fit for the first leg against ​Spurs at their new stadium. "Aguero feels better," Guardiola said in his pre-match press conference, as relayed by the ​Liverpool Echo. "He trained with the team for the first time and he feels better. "They are going to train, yesterday we didn’t train, they make recovery. I think Kyle feels a bit better and Benjamin recovered quite well I think. Possible contenders for tomorrow if the doctor doesn’t tell me the opposite." 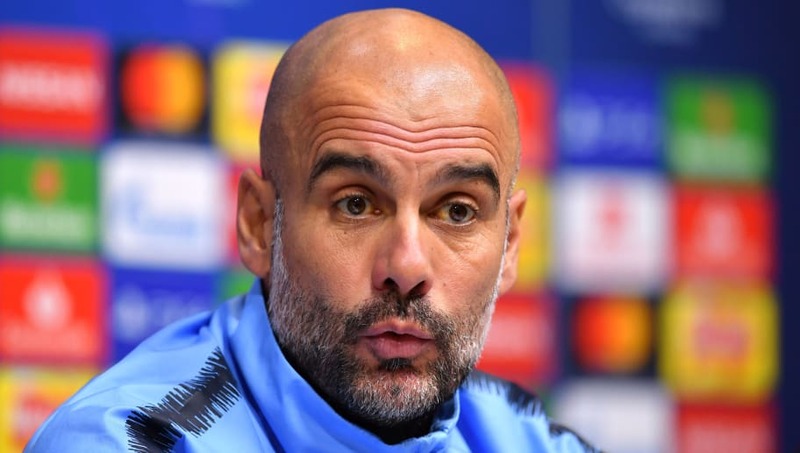 The win against Brighton set up ​City's cup final date with Watford in May, and they will now turn their attentions to progressing towards the Champions League semi-finals, before they visit Crystal Palace on Sunday, looking to overtake ​Liverpool at the top of the division as their fixture list intensifies. After the Palace match, they will host Spurs in the return leg, before facing Pochettino's side for the third time in 11 days when they meet in the Premier League. After that, there is the small matter of a midweek trip to Old Trafford to face city rivals Manchester United - who would undoubtedly take satisfaction in potentially derailing their defence of the title.